HJC has a knack for creating pretty neat superhero-inspired helmet designs. By that, I really mean that the brand has the licence to use the image of some of our favorite comic books heroes. Just in time to celebrate the last Avengers movie of the series (or so they want us to believe), HJC has upgraded the design of the one hero fighting for our right to freedom. In comes a new Captain America livery at HJC’s. 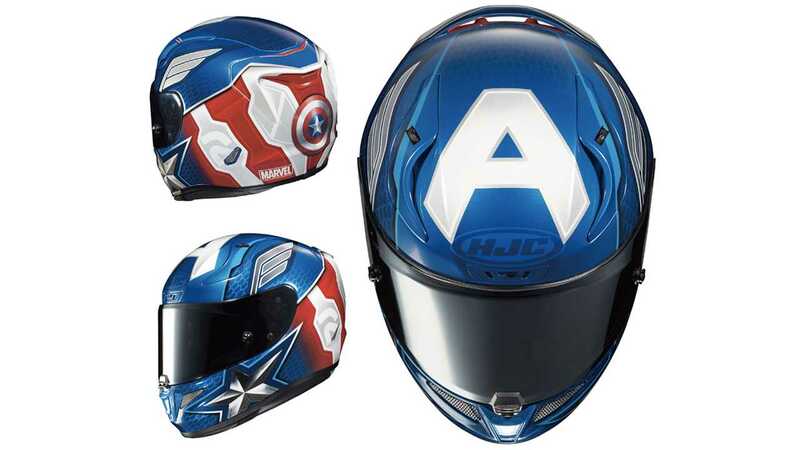 Just like Steve Roger’s suit gained in refinement throughout the Captain America and Avengers series, the new HJC helmet is offered with a new motif that mimics the un-caped freedom crusader’s updated leather uniform. 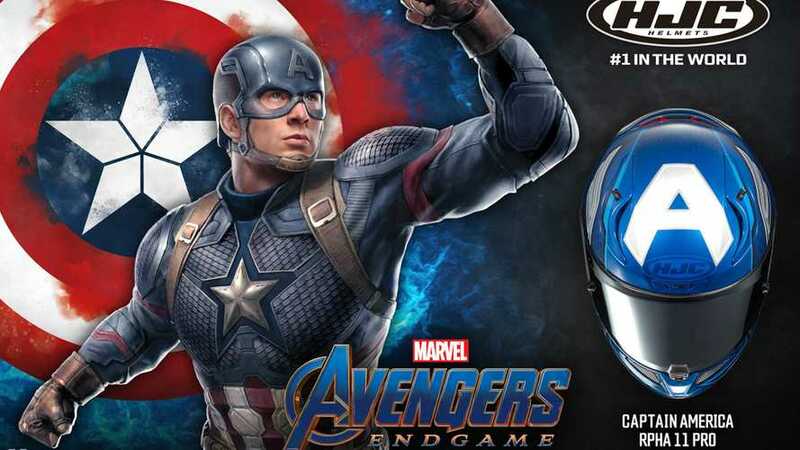 The motif mimics the leather scale chest and shoulder plates and the waist red and white strip accent, replacing the former 2016 white-on-plain-blue scheme with the all-American hero’s vibranium-steel shield design at the back. This time, the manufacturer applied the motif to the RPHA 11 Pro model of lid, an update over the last Captain Star Spangled Banner’s former CL-17. The new lid offers such features as the RapidFire shield replacement system—just a fancy expression to mean easy shield swapping—an emergency kit, or easy-to-remove cheek pads, antibacterial fabric interior lining, antifog lens, improved ventilation thanks to the chin and head vents, as well as embedded comm speaker pockets. The lid is also extremely lightweight, which makes it an easy lid to deal with for commutes and trips—provided you can own up to the massive “A” on your forehead.